Land of harmonious contradictions, where tradition and innovation meet and give life to something unique. It is here where I learned that there is no future without strong and firm roots, that there is no innovation without the study of what has been and that the present cannot be understood without the study of its origins. It is here where I learned that if we conserve the best of our history, we have already laid the roots to a bright future. In the end, only excellence remains. We have to pursuit the best: we have to study it, find it and create it. And we need to share it with the people around us. I started realizing it over 40 years ago by dedicating myself to my passion: hunting wines. 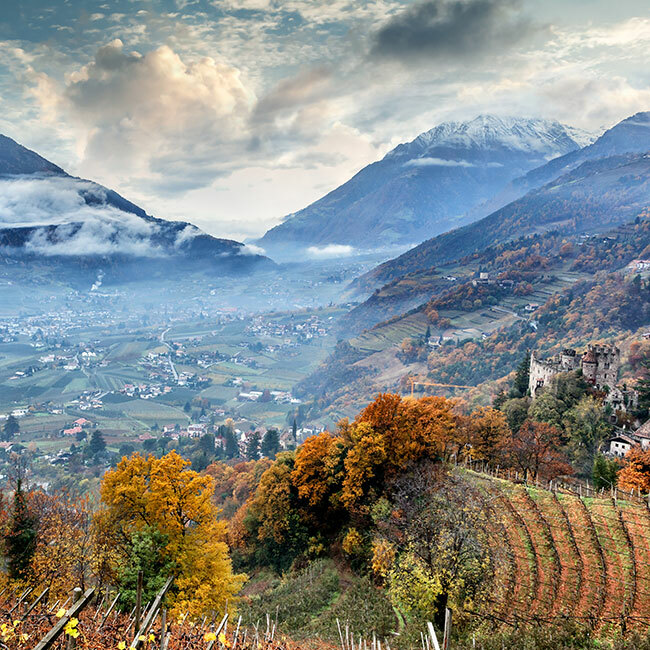 That is how the Merano WineFestival was born: an encounter with the winemaker himself who shares his story of producing greatness. Later, also food was added. Every year, along with my commissions, I select and evaluate over 5,000 Italian and foreign labels to assign them The WineHunter Award. Research, discovery, sharing of excellences brought through the offspring of the perfect union between past and future. Only the best in all its forms because excellence is an attitude.